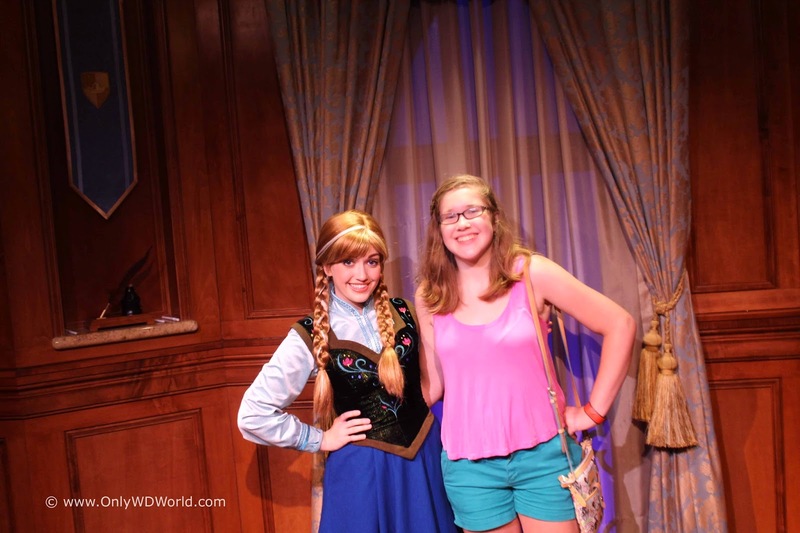 One of the most sought after things to do at Disney World these days is to meet the stars of Frozen: Princess Anna, and Queen Elsa. At the Princess Fairytale Hall in the Fantasyland area of the Magic Kingdom, Disney Guests can not only meet them, but talk to them, get an autograph, and even have a couple of pictures taken with them. 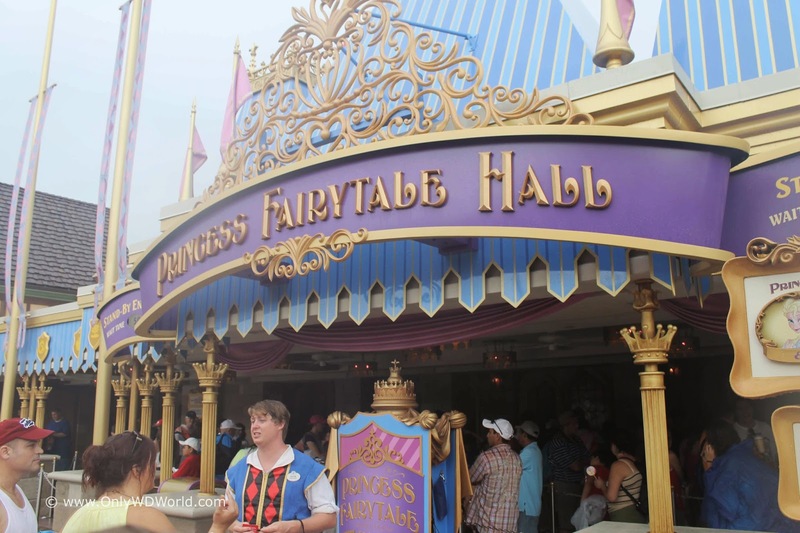 For those of you not familiar with Princess Fairytale Hall at the Magic Kingdom, it is a fairly recent addition as part of the massive Fantasyland Expansion that has happened over the past several years. The Princess Fairytale Hall is actually the building where Snow White's Scary Adventures ride took place. It is located just past Cinderella Castle and very near to Princess Charming's Regal Carousel. 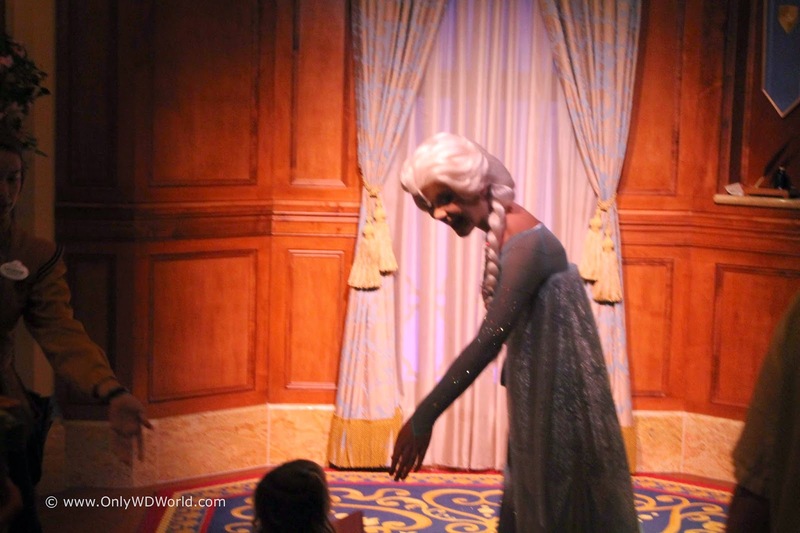 The building is home to a rotating group of Disney Princesses that you can meet and greet. 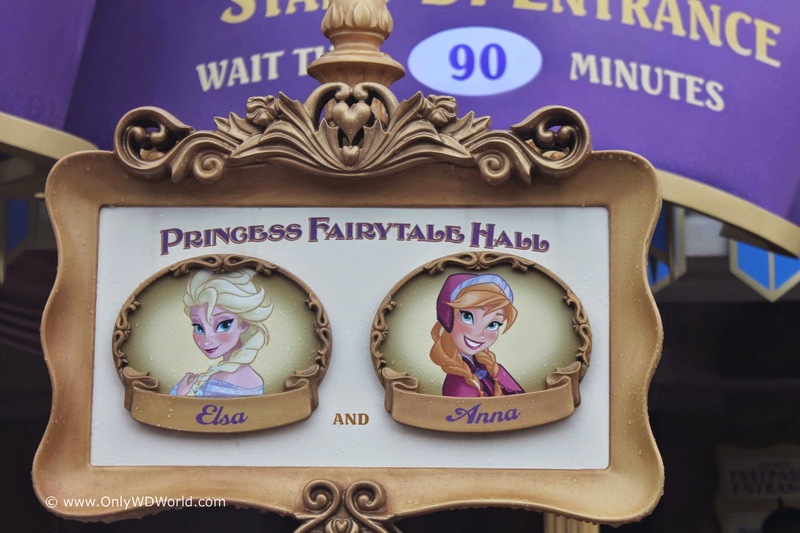 Currently the most popular one's are Princess Anna and Queen Elsa, who have had Standby lines that have exceeded 4 hours long. Please note that two different groups of two Disney Princesses can be seen at any time. Please check the signs to make sure you are getting in the correct line for who you are looking to meet. 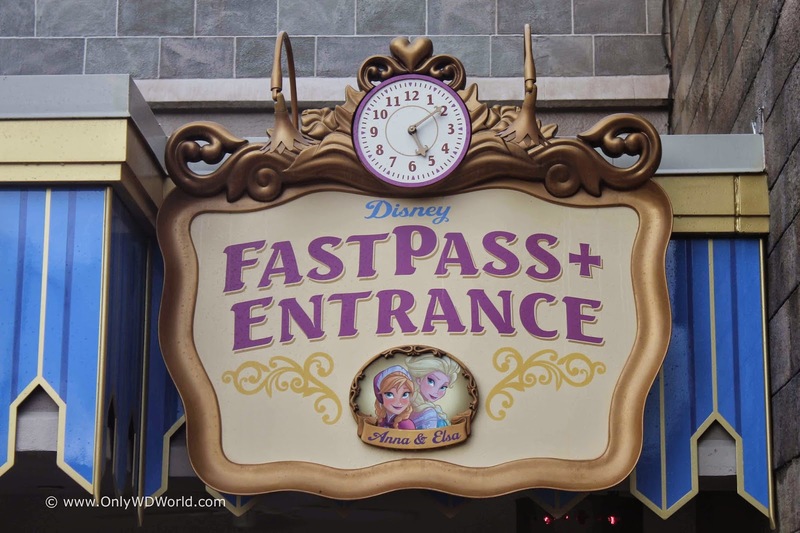 Although the lines still may not be quite 4 hours long, 90 minutes or more is still pretty routine, so we would highly recommend reserving a FastPass+ to see them. It is well worth it and takes the wait down to less than 5 minutes! 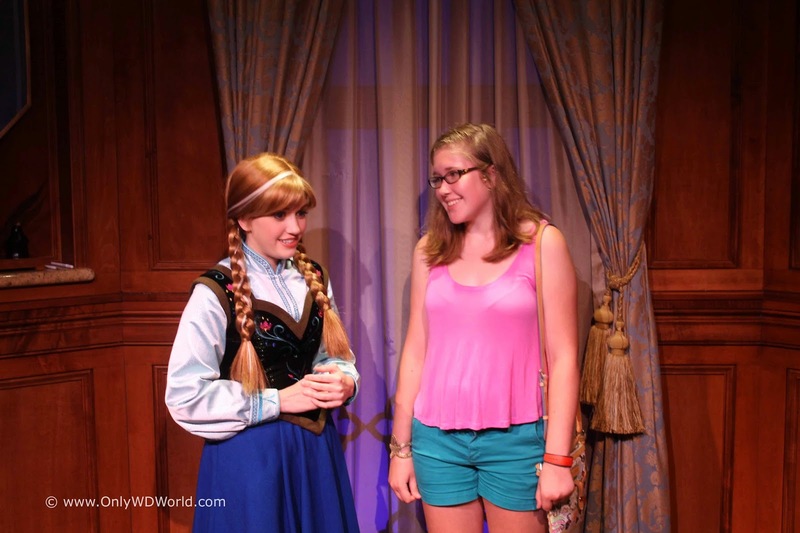 Unlike a typical Disney Character Meet & Greet where the character cannot speak with you, meeting a Princess is an entirely different ordeal. Each guest gets to have their own personal conversation with the Princess to learn a little about each other during their brief meeting. 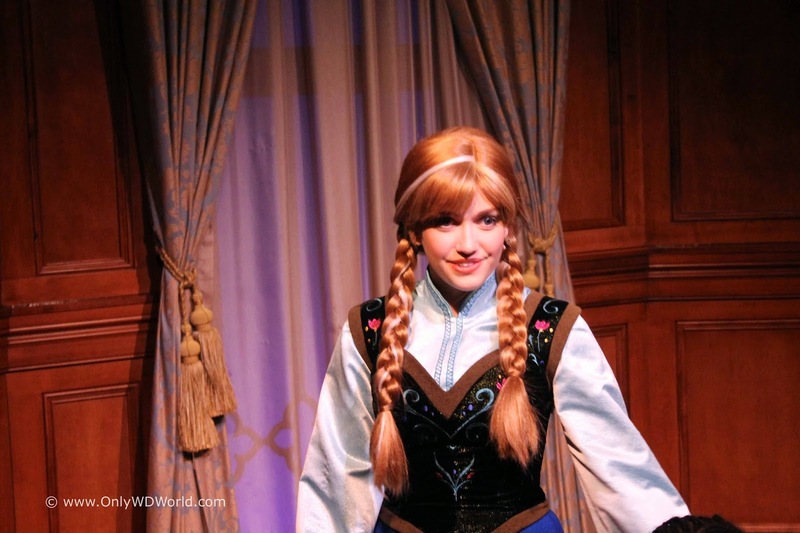 Princess Anna is true to her movie persona. She is spunky and full of energy and carries on a lively conversation. Anna fans will not be disappointed. Meeting the Queen is different from meeting a Princess. 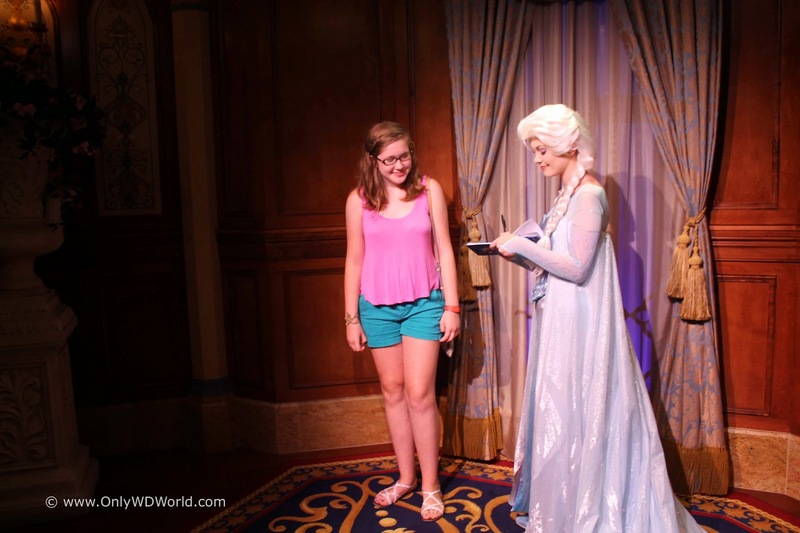 Queen Elsa is definitely more refined and reserved, but you will not get a chilly reception from the Frozen star. She makes all of the guests she meets feels welcome and chats with them as she signs autographs and takes pictures with them. 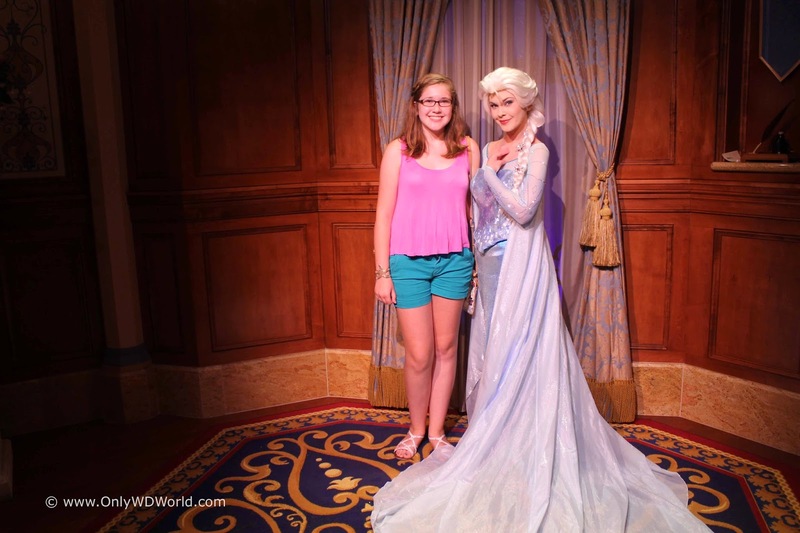 Frozen Fans will love this experience and should not pass up the only place at the Walt Disney World Resort to be able to have a conversation with Queen Elsa, get her autograph, and have your picture taken while she poses with you. 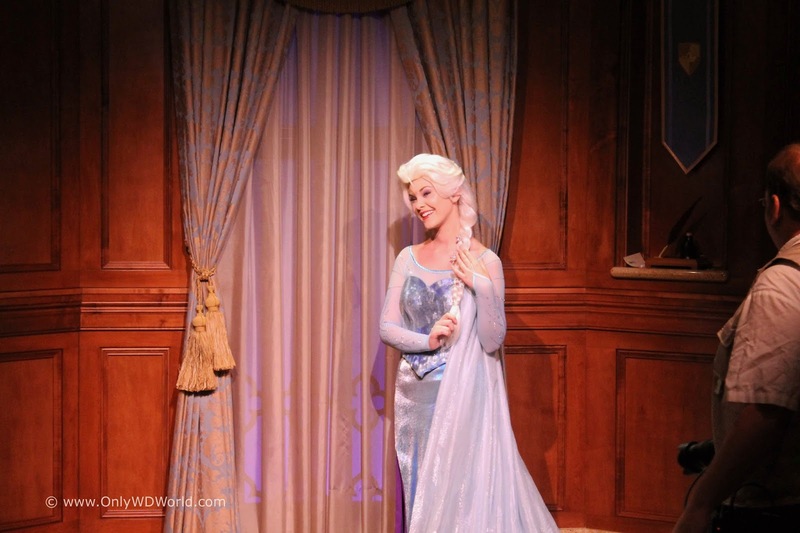 0 comments to "Meet Frozen's Anna & Elsa at Princess Fairytale Hall"